Perfect for mailing, a money order is generally considered more trustworthy than a check. 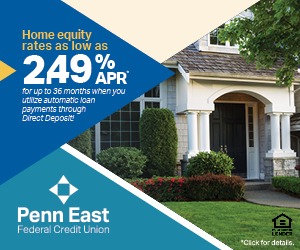 Head into any of our Penn East branches to purchase a money order or cover another banking need. A money order is a special kind of check that is purchased from a bank or a credit union directly with cash. It provides a secure and convenient way of sending money or making a guaranteed payment. A useful alternative to a traditional check, it's a great way to send a gift, pay a bill, or make a purchase by mail.